Beautiful composition for this cover. The elegant frames fore-shadow an underlying story of art, the damask background gives a sense of opulence, as does the framed staircase. The Nazi banner, Eiffel Tower and the couple reminiscent of the 1940's tells the rest of the story. I love the font used and the entire layout. Sepia tones also date the pictures beautifully. Easily a book I would grab off the shelves to turn over and read more about, this is a title that grabs me. Pictures of the Past is a compelling saga sweeping through Chicago, Paris and Berlin, reliving events from pre-World War II Europe, but beginning in contemporary times. An Impressionist painting, hanging for decades in the Art Institute of Chicago and donated by the charismatic philanthropist Taylor Woodmere, is challenged by an elderly woman as a Nazi theft. Taylor’s gripping and passionate story takes us back to 1937. Sent to Paris on family business, he reluctantly leaves his girlfriend Emily, a spoiled debutante from Newport, Rhode Island. But once in Europe, he immediately falls in love – first with an Henri Lebasque painting, and then with the enchanting Sarah Berger of Berlin. After Taylor returns home, the Berger family becomes trapped in the Nazi web, and any attempts for the new lovers to be reunited are thwarted. 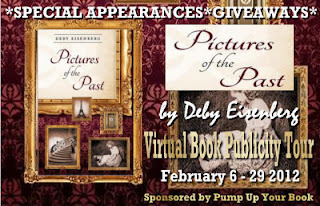 With a heart-grabbing ending, Pictures of the Past is historical fiction at its best, giving a personalized window to the powerful events and intriguing venues of the eras. From a world torn by the horrors of war, a love story emerges that endures through years of separation. When I first decided I'd like to review "Pictures of the Past" I had some hesitation. I've read an assortment of books covering the holocaust over the last 40 some years, and felt I may have met my capacity with them. The stories often left me with a heaviness of heart. I'd lived most of my growing up years in Germany, even went to college in Munich, Germany, at the University of Maryland's extension campus, so it's a country that's very dear to my heart, and a people I'd come to love, as well. It has been difficult to separate the Nazi's from the kind people of Germany I'd come to know. I'm glad I did take a chance on this particular book, however, because it beautifully balances the good and the ugly. It tells a story that gives the safe and lovely side of a life in Berlin, and then the rising of an extremist group that overtakes the country like locust. I loved this book. From the earliest words, Deby Eisenberg captured my heart. I could hear the inflection of the grandmother's voice. I could feel her indignation and her ire rising, and I could nearly sense the touches of her grand and great grandchildren as they gathered around to comfort her. Eisenberg is a masterful writer. She makes her story not only ring with truth, but resound with the vision of a cast of characters that you can well image actually existed. 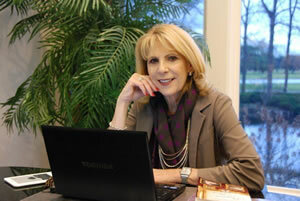 The love story interwoven within the historical mysteries of the book are engrossing. I was so happy to read the details of transatlantic voyages, the beautiful cities both European and American of the pre-WW !! era, and the very interesting comments about Nazi art thefts. The mystery that's presented of old lovers, the painting's travels, and a family whose lives were changed by the Nazi terror is mesmerizing. 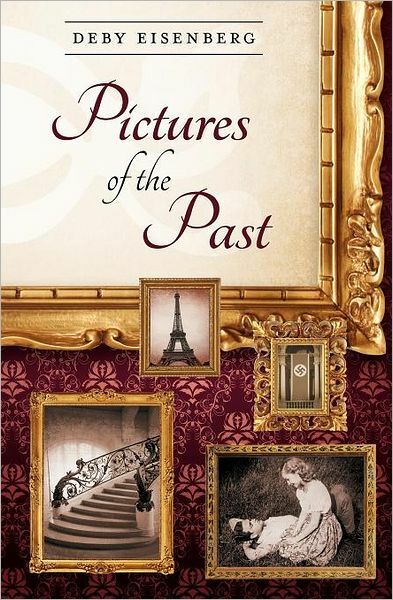 It goes without saying that I highly recommend "Pictures of the Past" to everyone. It's a great book on this era from several perspectives. Beautifully written, it's a timeless love story that's anchored by a painting that's etched in the minds of the lovers. Thank you so much, Jessica! I don't think anyone's ever done that for me before. :] This is a book well worth your "to read" list. This is a copy that is definitely worth a read. Reading must be enjoyable and will take us on a wild journey to the past while having fun. This is a must try for the youth out there for them to be more interested regarding history. I hope to see more finds from the author’s repertoire.